Dr. Fuhrman’s Pomegranate Balsamic Vinegar is being touted (by Dr. Oz and others) as a “weight loss blocker.” This may sound like shoddy science but Amylase inhibitors are real and they are real starch blockers. Basically they stop starches from being digested when in the digestive tract. These carbohydrates are “blocked” and pass through the intestine without being absorbed. We are always hesitant to recommend a certain product, especially if it is artificial. Pomegranate vinegar weight loss products all seem to be natural. At the worst we see it as a delicious, low calorie, salad dressing. If there were a perfect fat or carb blocker we would all be at our target weight. Many artificial or pill-form starch blockers can be dangerous. There are even prescription drugs like Precose & Glyset that work this same way. They aren’t used for weight management but are used to help diabetics control their blood sugar. And even with these powerful drugs, only some of these carbohydrates are going to be blocked even on a good day. The body has had too much programming from our ancestors to waste calories. For the majority of human existence there hasn’t been enough calories to go around. Obesity and the simply being a little pudgy is a recent phenomenon. There is a natural fat blocker that is found in many foods. It is called fiber! Leafy vegetables, beans, whole grains, and fruits all have lots of fiber. This fiber gives you the sensation of being full and your body can’t digest fiber. It simply passes through your system. If fiber is too slow and or too boring for you there are other natural supplements that show some promise on being fat blockers. 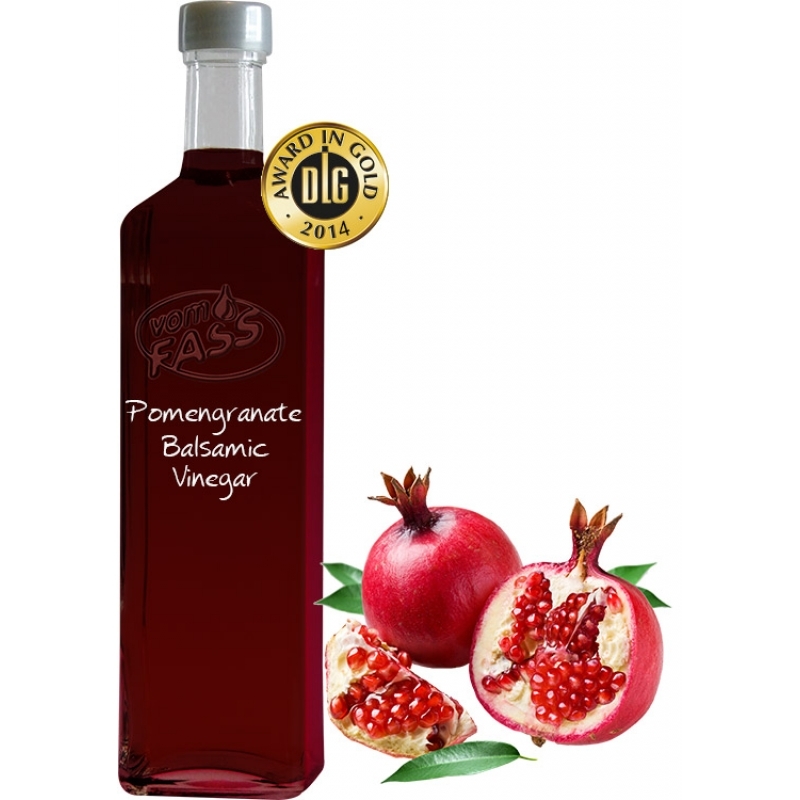 Pomegranate vinegar weight loss products claim that they can burn fat reserves and block the formation of new fat cells by converting food into increased energy. The science on this claim doesn’t look like it has been completely verified but there many online that have had a good experience. However, drinking 1 to 2 tablespoons of vinegar every day has been studied by Japanese researchers. They found that weight loss with use occurred with the fat percentage of the participants’ body decreased more than those on a placebo. One study doesn’t necessarily prove that this is rock-hard science. But vinegar is broadly viewed as healthy with many health benefits. Pomegranate vinegar weight loss products are basically this. Just because Dr. Oz thinks it is great doesn’t necessarily mean that pomegranate vinegar weight loss will work for you. I would love to see it studied further. But I guess I could say that about the thousands of supplements and weight loss products out there. There are even capsules that you can take that get the vinegar in your system. Having a spoonful of Raw Apple Cider Vinegar a day would certainly be the cheap way to go. But drinking vinegar is a lot harder than it sounds. If you have tried it let us know in the comments below how it worked for you. I am a diabetic and about 8 monthes ago I became very ill and as a result my sugars were crazy elevated. We’re talking like 194 elevated. ( Trust me that’s bad) my doctor prescribed my medication to roughly double of what I had been taking. I had read on the Internet about Braggs Organtic Raw Unfiltered Apple Cider Vinegar. They said really two table spoons in a glass of water three times a day will help get those blood sugars in order. Needless to say I was skeptical, but, I was willing to try. It made 2 week before I really could tell a difference. Even then I had my uncertainties, but I kept taking the vinegar. I figured, what did I have to lose? Do not think that all vinegars are created equally or that they have the same affect on the body. Braggs Raw Organic Apple Cider “with the Mother” is what you buy. 2 tablespoons of Braggs in water 3 times a day will do you wonders! You just about have me convinced. I wish it wouldn’t take a couple of month for the results to start showing though. I use natural vinegar for just about everything. I use it to clean the cat’s ears, it helped to get rid of my infant’s thrush, I even drink it (diluted in water) to suppress my appetite. I can’t think of something that has more health benefits. I appreciate you writing on the subject. My inlaws think I’m the crazy vinegar lady. But I bet humans have gotten used to vinegar over the hundreds/thousands of years that we haven’t had anything else. Will any vinegar work? Or just pomegranate vinegar? It seems like pomegranate has been in the news a lot latey. I believe this is certainly one of the most vital things in my diet. Pomegrante juice, keefir, and especially vinegar. You would think I was lying for relating all the miracles I’ve seen in perform. Good article! Cheers! It’s very easy to determine any topic on net as compared with textbooks, when i found this part of writing at the site. I read the same article and have been drinking this twice a day for a week. I haven’t lost any weight yet but I’m still drinking it and still hopeful! Yes l just started this…not sure of weightless yet but it immediately is taking my blood sugar down..
Aрappreciate this post. Will trу it out. I’ve tried something really similar. I feel like I had some decent progress with it but I just couldn’t keep doing it. Like all things in my life, the motivation was lacking. What experience have you had? My neighbor swears that her thyroid going into remission was because she made her body go alkaline(?) by drinking vinegar. I will admit that I tried both pomegranate vinegar and apple cider vinegar and felt no different. But I will also admit that I didn’t try them long. I love it when folks come together and share opinions, especially when I’ve never heard of them. Didn’t know that Pomegranate Vinegar Weight Loss was a thing. I think vinegar’s primary benefit in dieting is the suppression of appetite. Or maybe it was just me. I love pomegranates. I like vinegar on salads. But pomegranate vinegar just seems wrong to me! I’ve read online that vinegar can cure cancer. Now it also helps you lose weight? I will try this. Does any vinegar work? Why pomegranate? I confirm. I’ve lost weight just by drinking small amounts of apple cider vinegar. Not a ton of weight but it made a difference. Thanks for the write up on pomegranate vinegar. Ha! Perfect! I knew there was a reason I put vinegar on salads! I’ve thought about this before. It seems the science is still kinda out on vinegar. Nice to see others have had the same experience as myself with vinegar. I use all types though. I’ve yet to try pomegranate. Nothing funny about how bad vinegar tastes. Also hurts my stomach no matter how diluted it is. Tried the Woman’s World one. Liked it, didn’t lose much weight but maintained and felt good. It was to aid digestion as well as lose weight. The article, I think, was about not having the correct stomach acid to digest most foods properly, hence the vinegar and the pomegranate juice was claimed to up the results significantly- reacts with the vinegar somehow…? Anyway, that’s what I took away from it. Going back on it. I do think it helped with digestion, acid reflux, and appetite suppression. Rinse your teeth afterwards, though, because I read that it’s hard on the enamel on your teeth! Don’t want that. Good idea about rinsing your teeth Angie! hints in a Friday interview with the Sault Star News. It’s a little bit gradual, but for bodily challenged folks it’s amazingly helpful.